600m2 urban building plot for sale in Almeria Province, situated in a prime location between the towns of Arboleas and Albox, within walking distance of bars, restaurants and a weekly market. This flat plot measures approximately 30m x 20m and has connections for mains water, electricity and sewage. We will be happy to recommend an architect and builder to help you create your perfect dream home! 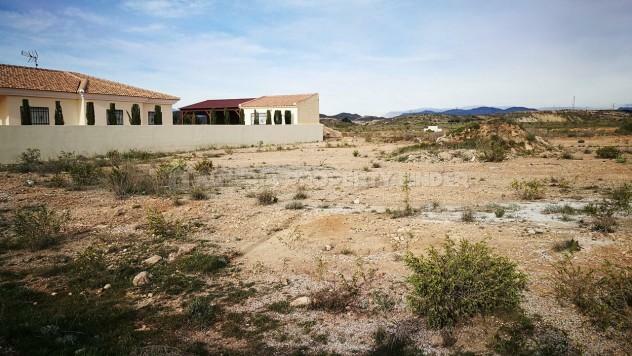 We have many more plots of land for sale in Almeria Province. Please let us know your requirements, and we will be happy to search our portfolio and send you details of any suitable Spanish properties for sale.